A book of thirty-one tunes from all corners of the Celtic World in standard notation and tablature with guitar chords. Includes three arrangements for quartet and interviews with top players Andy Irvine, Maartin Allcock, Chris Newman, Gary Peterson and Brian Taheny. 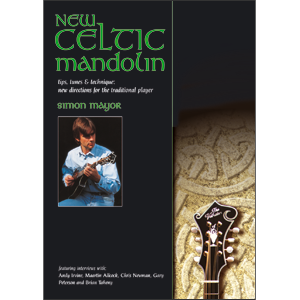 Includes all the tunes from Simon's New Celtic Mandolin CD.